Eisenmann Exhaust Systems reaches the 3rd place! The readers poll results are here! 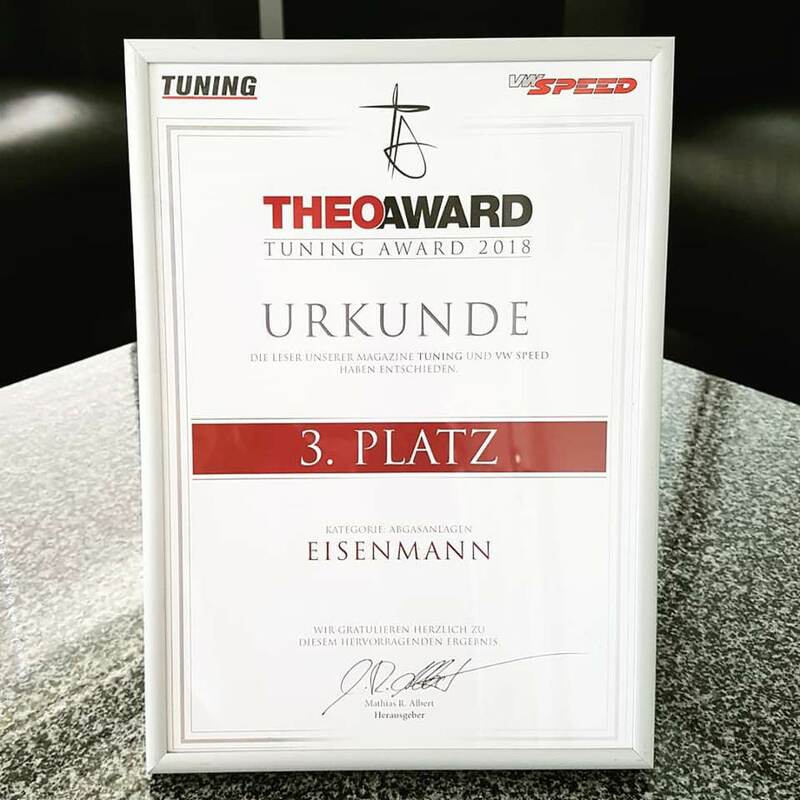 Eisenmann Exhaust Systems is pleased about a Theoaward award from the magazines Tuning and VWSpeed. We say thank you to our fans and we are happy about 3rd place in the category "exhaust systems"!